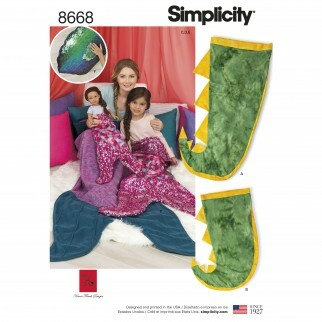 Fun and cozy novelty blankets for the entire family including your 18" doll. 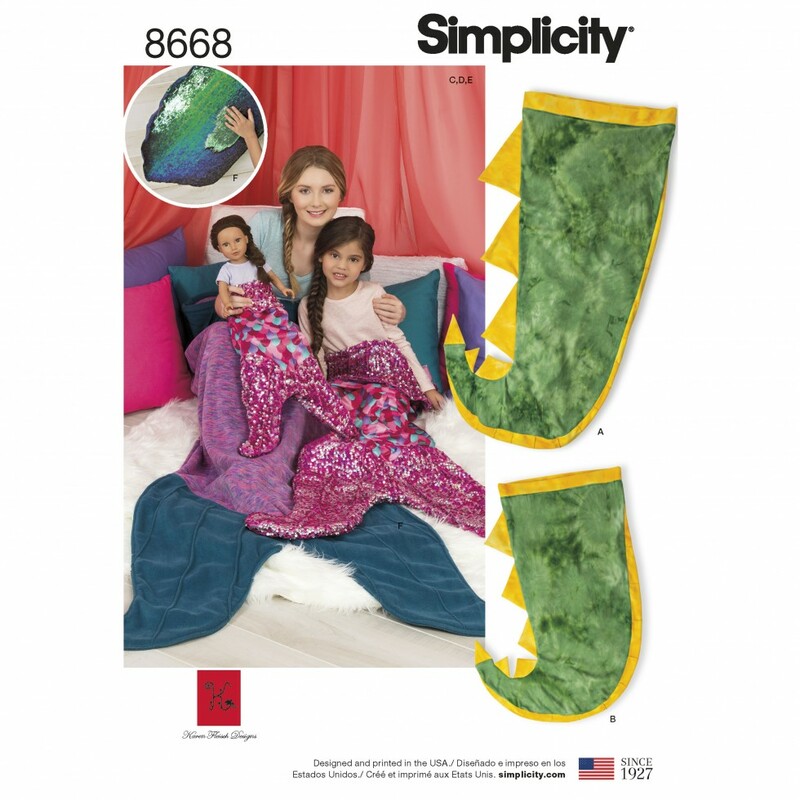 Features mermaid and dinosaur design with pillow. Great for fleece fabrics and or novelty sequin. Karen Fleisch for Simplicity.